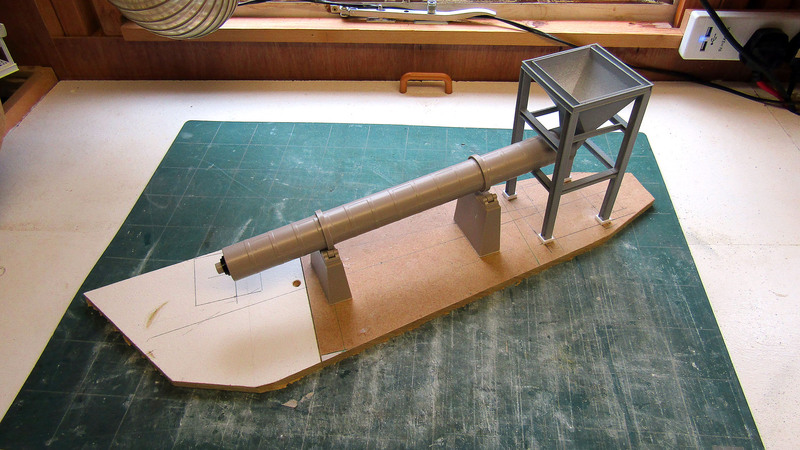 Starting to plot the layout of the rotary kiln onto its baseboard. To lock the position of the preheater tower into position I have laser cut four ‘concrete’ pedestals from 2mm acrylic. 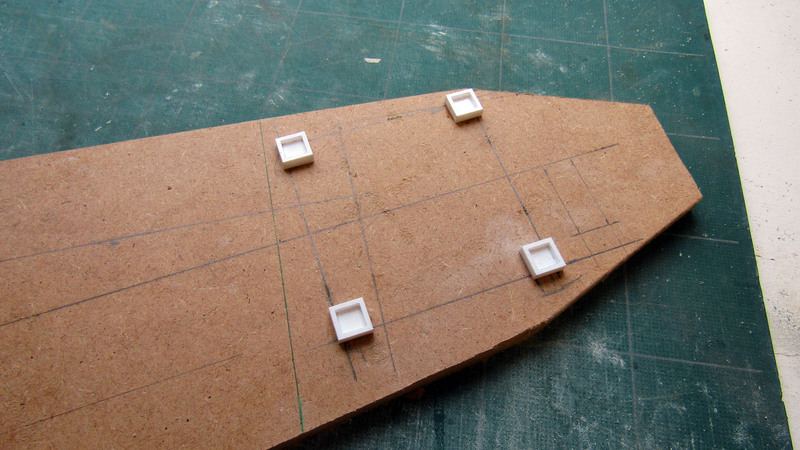 They consisted of a square base and then a square frame laminated together to create a socket. These were then glued to the baseboard where the four legs of the tower can be plugged into them.